Want to keep your style simple and still look great? 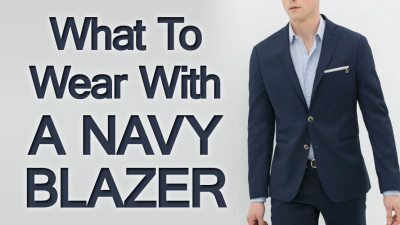 You should own a navy blazer. 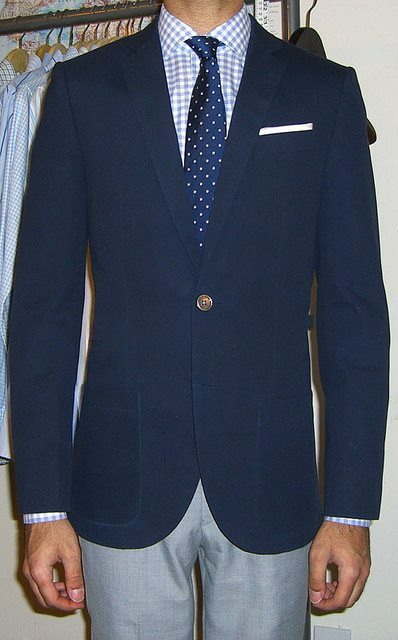 The beauty of the navy blue blazer jacket is that it goes with almost anything. Why Should a Man Own a Navy Blue Blazer? The possibilities of what to wear with a navy blue blazer are endless. The classic single-breasted navy wool coat with brass, horn, or plastic buttons is perhaps the best investment a man can make in his wardrobe. It doubles the available outfits a man has to choose from each morning when he gets dressed. 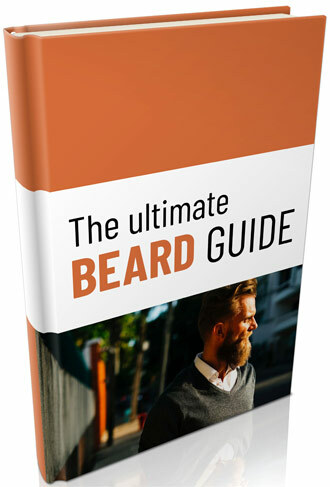 It will serve you nobly in a wide range of situations, and it will not go out of style in your lifetime. A blazer can be a classic almost formal outfit. Put it on with gray flannel slacks, a white button-down oxford shirt and a striped tie, and you are just shy of a suit on the formality scale. The navy blue blazer gives you a simple solution to the tricky problem of dressing respectably without appearing aloof in a business casual environment. In a workplace dominated by polo shirts and khakis, the man who has the instinct and the class to wear a blazer over the ensemble looks distinctive without standing out. Imagine it’s the weekend. The same blazer over chinos and a polo shirt makes a very smart casual outfit. A man can build many handsome outfits around his navy blue blazer. Let’s go over a few of them. What Goes With A Navy Blazer? A men’s blazer looks aristocratic and dignified over an ecru turtleneck and your trusty gray flannels. For a laid-back look in the summer wear it with off-white pants and a bright polo. A men’s dress shirt with a button-down collar and gray flannels go great with a navy blazer. Adding a tie stake it up a notch. 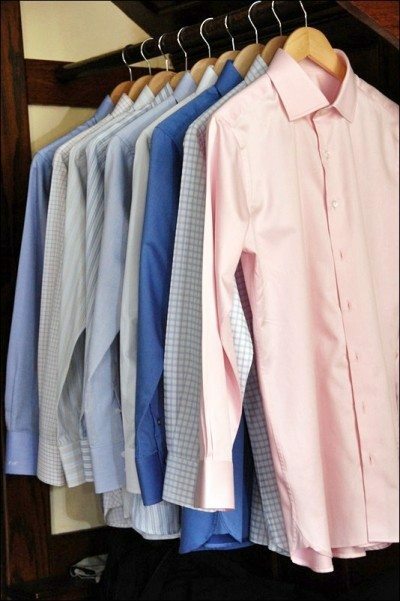 If you want to formalize it, a point collar shirt will get the job done. Contrast collars really belong under a suit, and even if the formality of French cuffs were not an issue, having cuff-links next to brass sleeve buttons creates a clash of shininess. 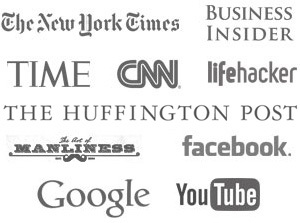 The blazer outfits described above are smart choices for dinner in a nice restaurant or a morning religious service. In fact, the blazer will serve you well for most weekend activities – from taking in a play to cheering on a girls’ softball team. While it is perfectly acceptable to wear a navy blue blazer with jeans, make sure the pants and coat are not too close in color. This goes for any jacket and pants combination. It it’s not a suit, it shouldn’t look like one from a distance. For footwear, bluchers, loafers, and monkstraps are all fantastic options. Brown suede dress shoes match the navy blue blazer very well. 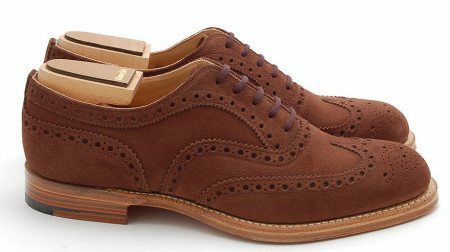 Black shoes, other than oxfords and wingtips, are also fine complements. Anytime you wear a blazer you should wear some sort of patterned socks. They can be checked, striped, or argyle. When you forgo a tie, your socks provide a great opportunity to inject a little pizzazz into your look, especially if you wear a solid shirt. Bringing our focus to trousers, gray flannels are always the best ..choice to wear with a blazer. Depending on your personal style you can wear chinos with or without pleats. Both look great with a blue blazer. Besides the traditional khaki, stone, hunter green, and wine red will look fantastic with the blazer. On cold days, you will appreciate the added warmth of cavalry twills, while in the summer heat linen pants are a cool and comfortable choice to wear with a blazer. Besides solids, a broad variety of stripes and checks mix well with a blazer. Dark, solid fabric looks great next to just about anything, and the shiny buttons comfortably counter the bold patterns. For a more casual look, go with a long-sleeve polo shirt or a turtleneck, depending on the climate. In cooler weather, you will want to wear a sweater under your blazer jacket. The best sweaters are made from wool or cashmere. They do an excellent job of retaining your body heat and do not add considerable bulk. If you’re wearing a blazer without a tie, a cable-knit or argyle crew-neck will add some life to the outfit. The V-neck worn over a tie may also be patterned or textured, but can be solid as well. Sweater vests, buttoned or without buttons, also an option with a navy blazer. Sweaters that scream with loud colors and patterns are too memorable and limited in a wardrobe rotation. Blues, greens, browns, and other natural tones complement almost any man, match well with a wide range of clothing, and are easy to find. Finally, a few words on neckwear and accessories that should be worn with a navy blazer. Look to keep the tie you wear with a navy blazer sporty. Good choices are oven silks in polka dots, bold stripes, and other simple patterns. The bow tie with white shirt and blue blazer looks sophisticated on the few men who know precisely how and when to wear it but goofy on most everyone else. 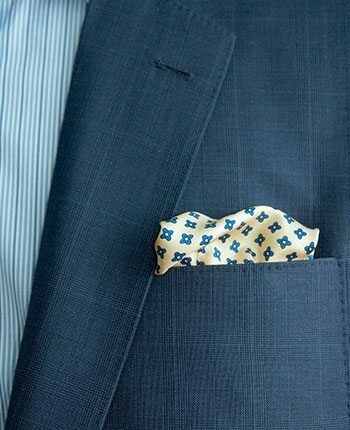 Beyond ties, a pocket square that harmonizes with the rest of the outfit adds a dash of style to a blazer. For younger men, it will also make sure that a blazer and white shirt don’t look like they are wearing a prep school uniform. What About Belts and Navy Blazer? For belts, follow the old rule: match leather to leather, metal to metal. That means brown with brown shoes and black with black. The buckle should be brass to coordinate with the blazer’s buttons.